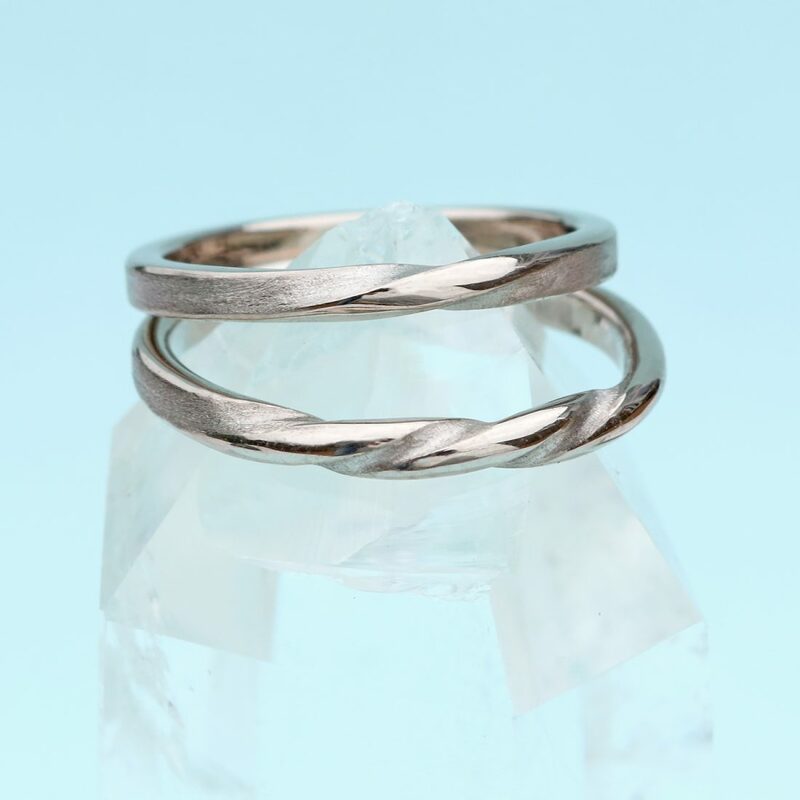 There’s a twist in the design of these unusual wedding band – three in fact! 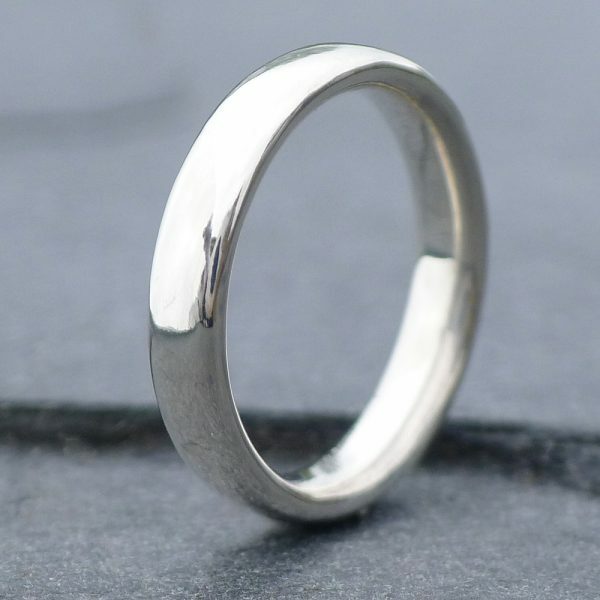 The slim 2mm x 1.5mm band is flat in profile with rounded edges, for additional comfort. 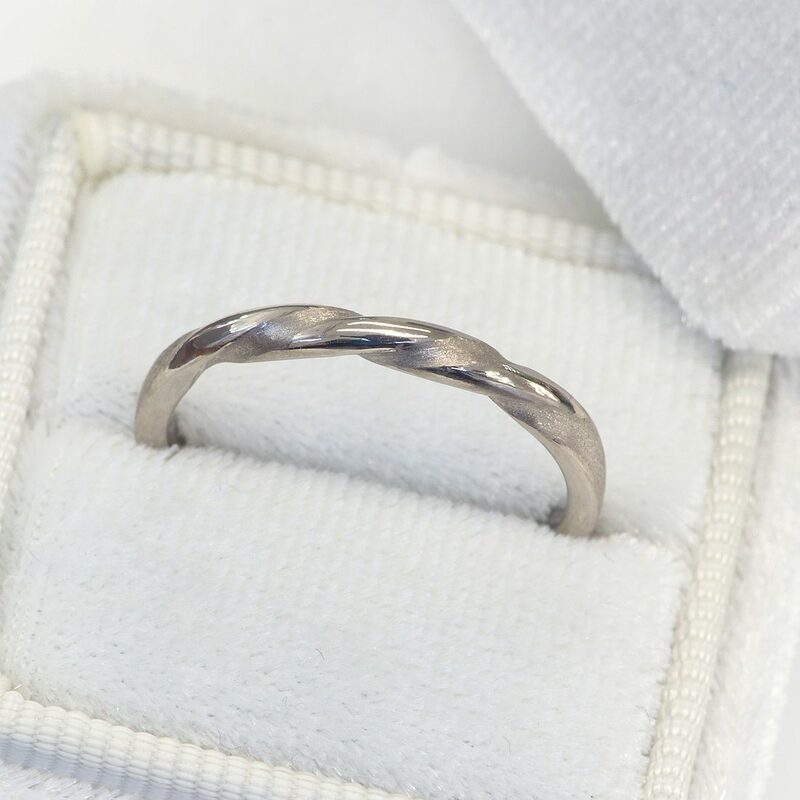 The sides of the band have a spun silk texture applied, with the twists and tops highly polished for contrast. 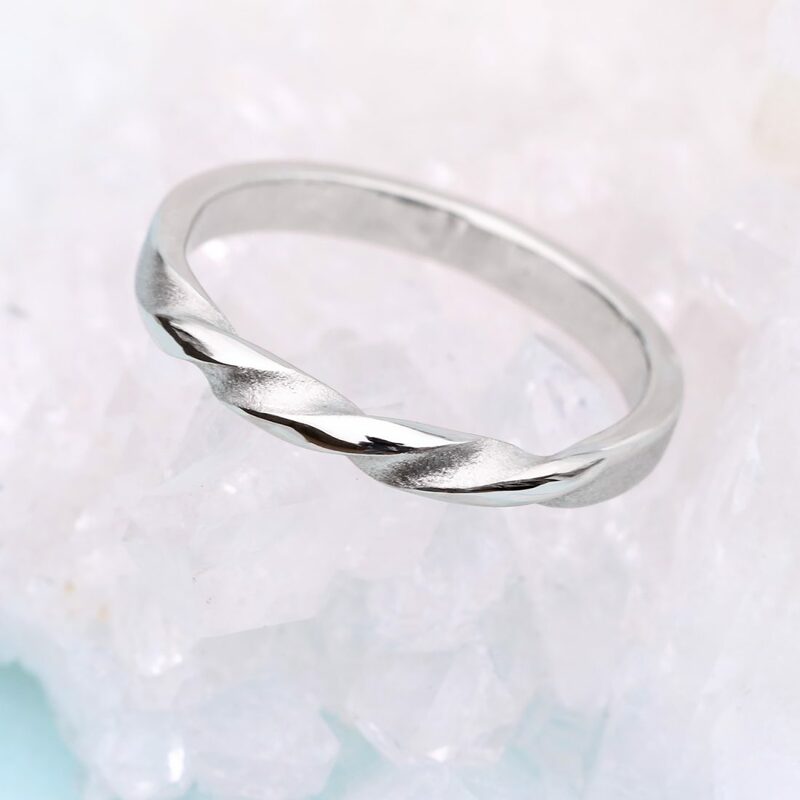 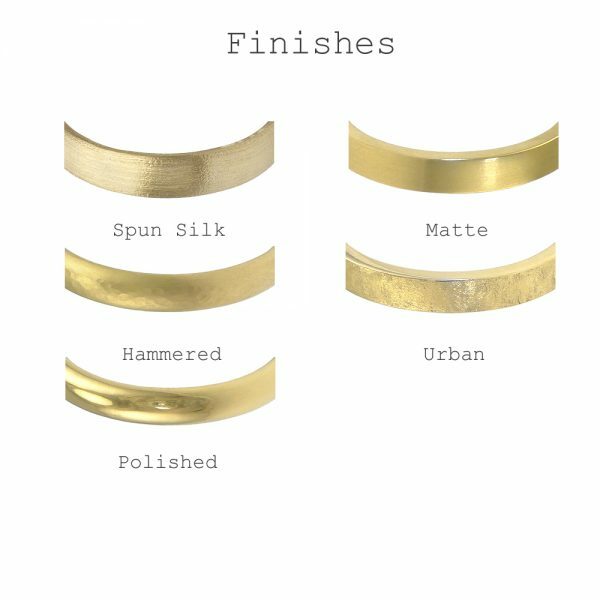 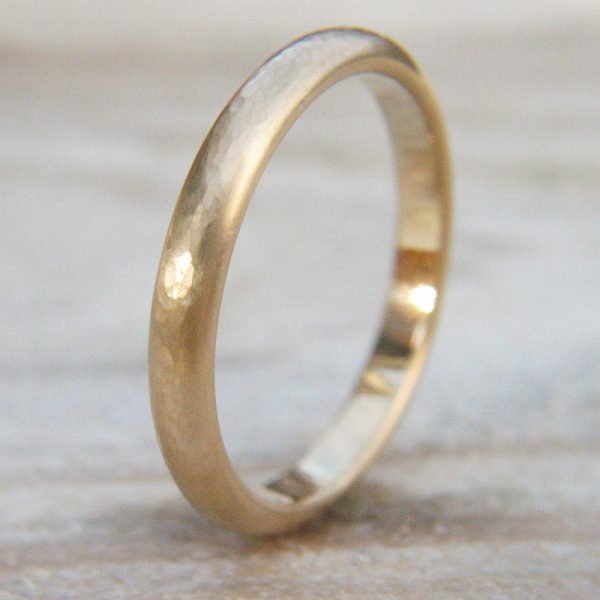 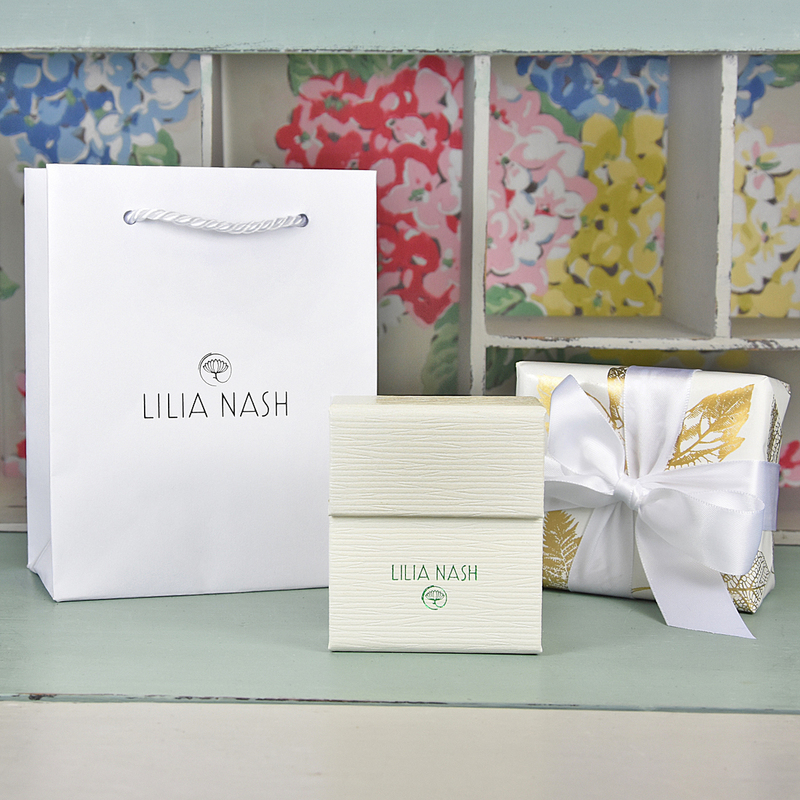 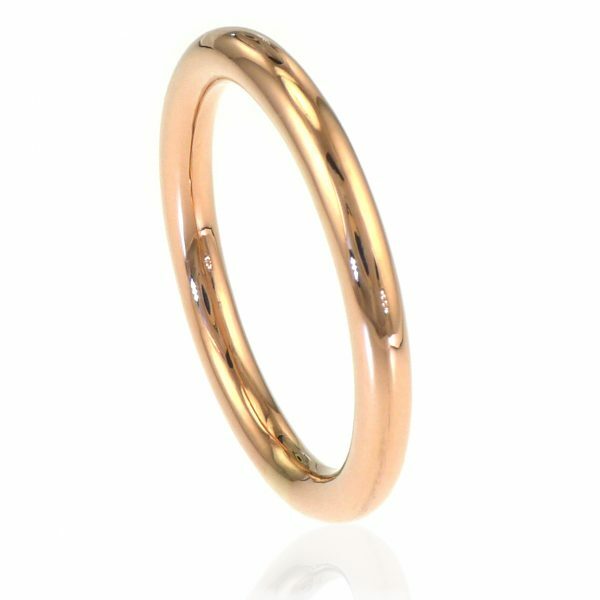 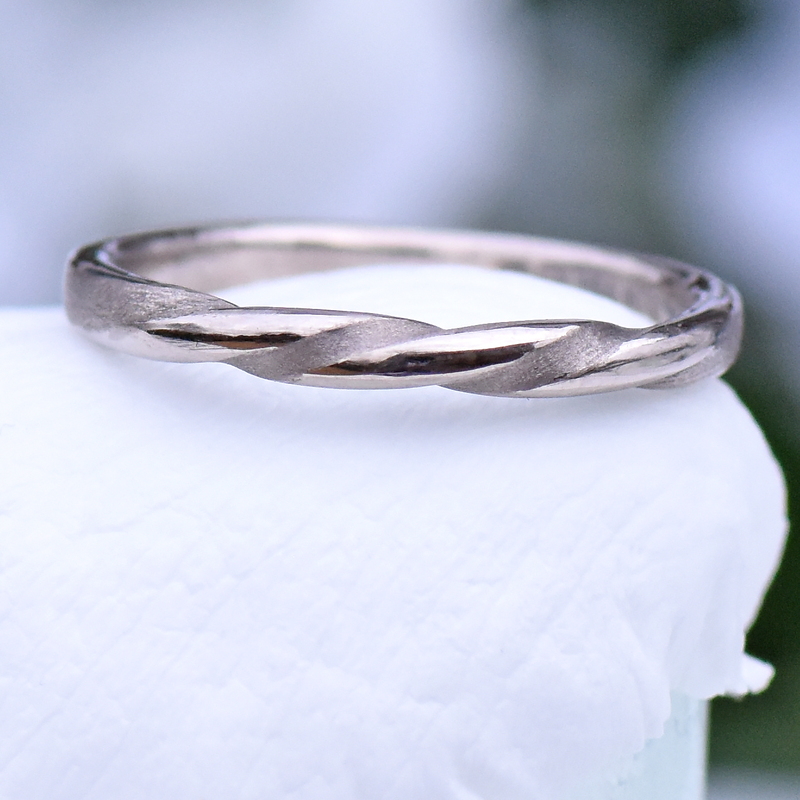 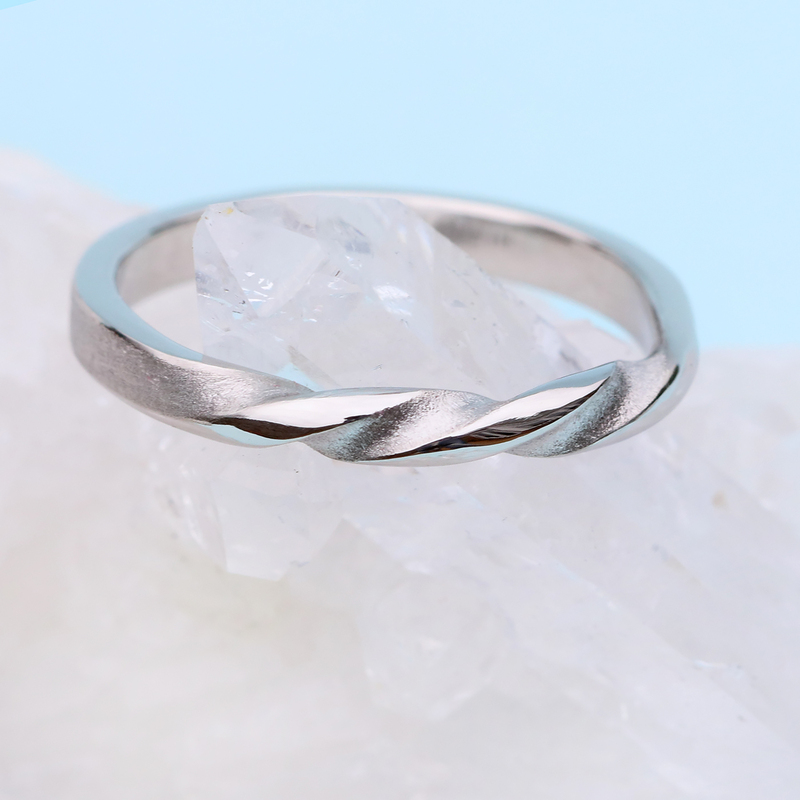 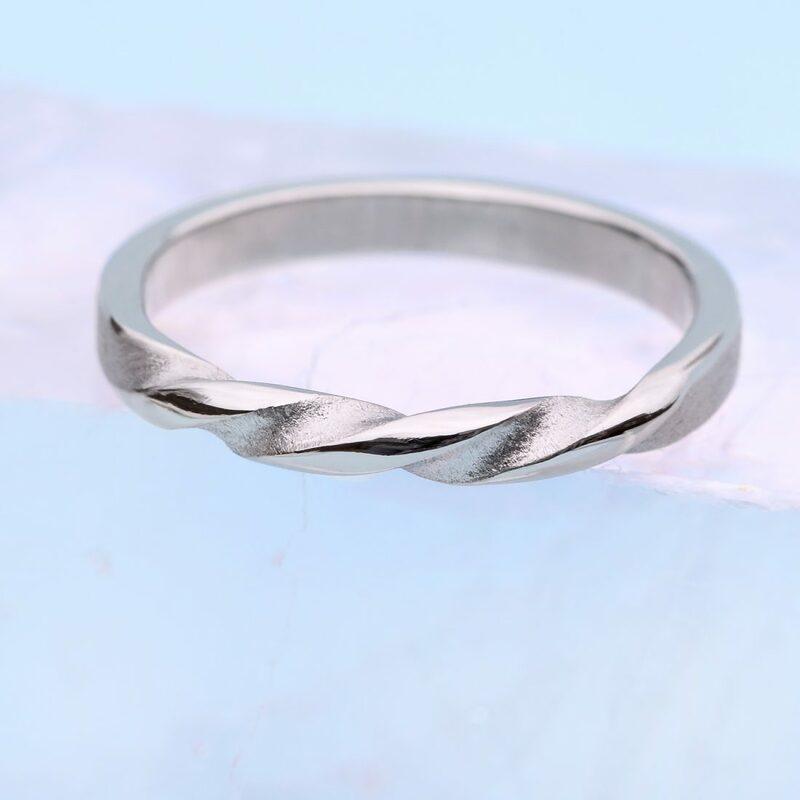 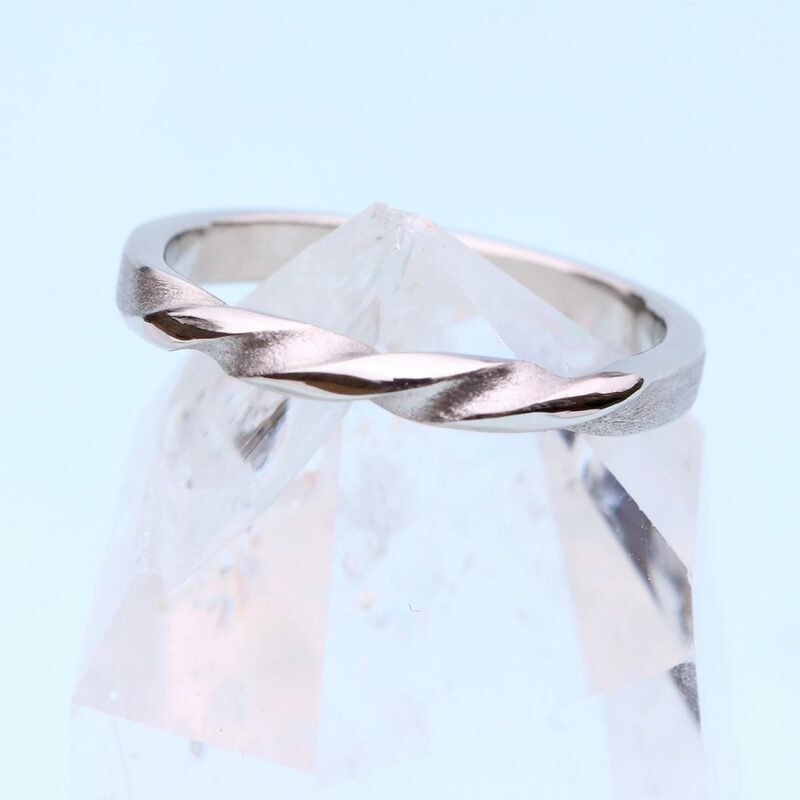 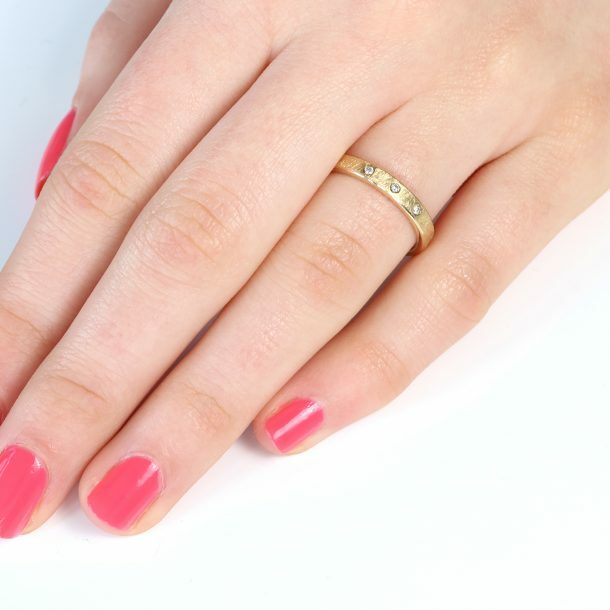 The triple twist ring can be handmade in any size, from recycled 18ct white, yellow or rose gold or platinum. 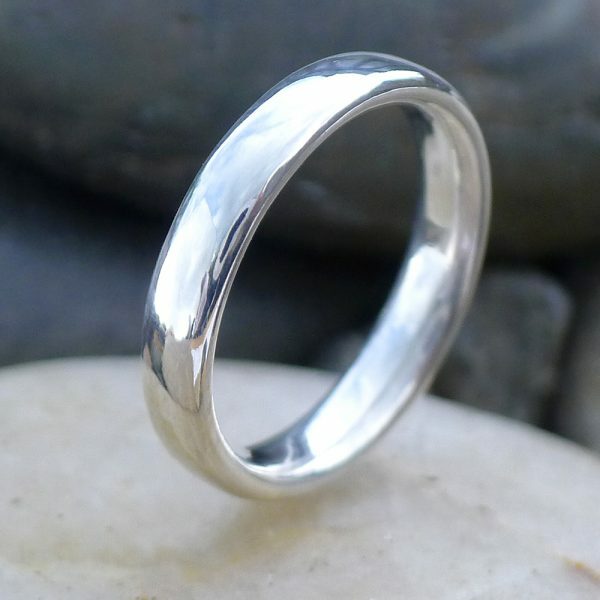 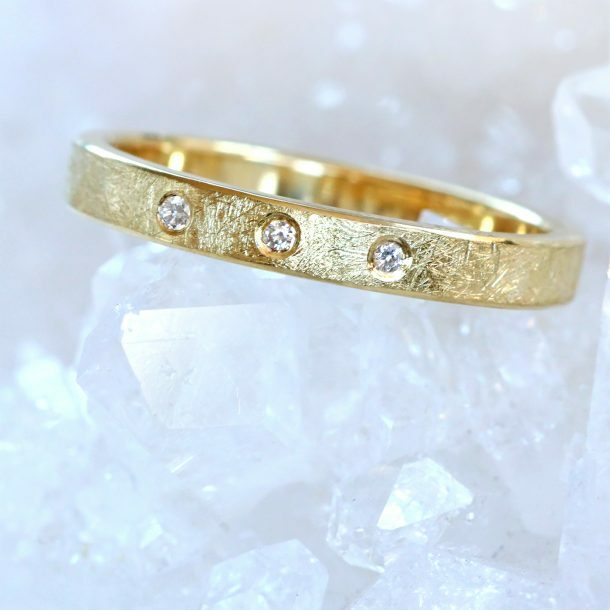 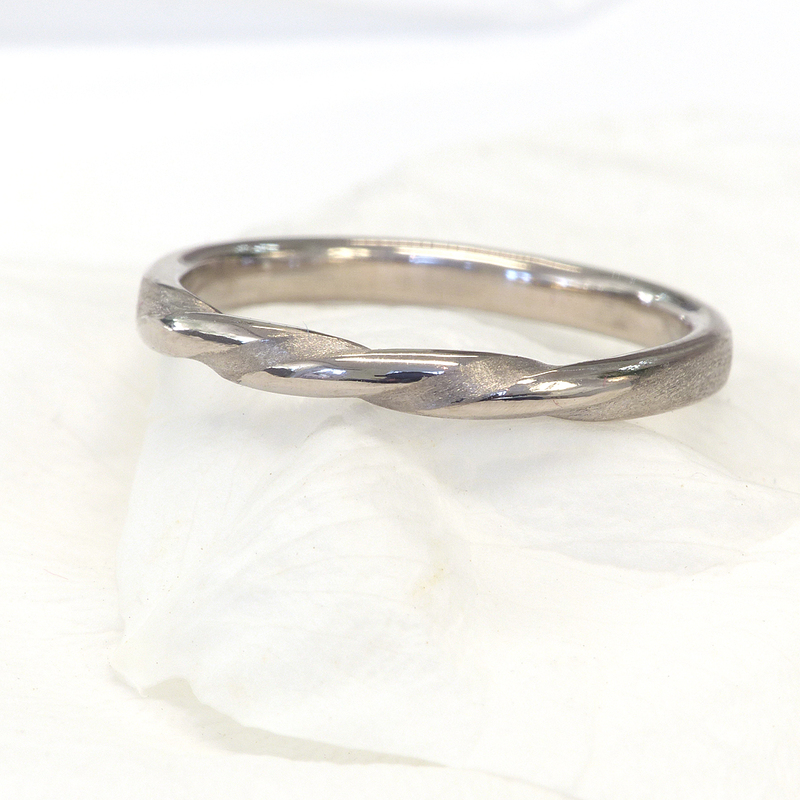 There’s a twist in the design of this unusual wedding band – well three in fact! 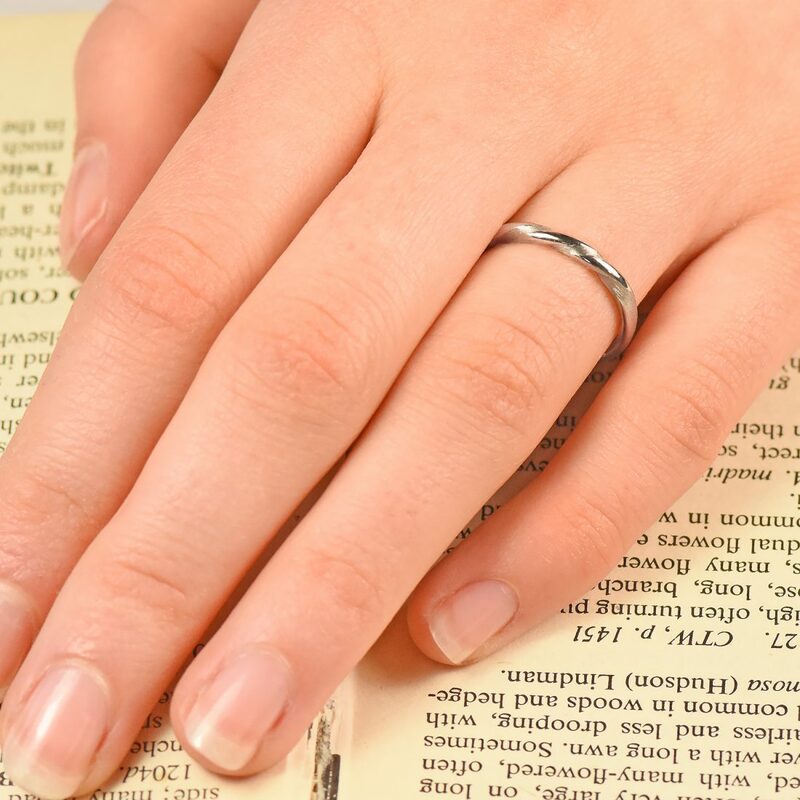 The slim 2mm x 1.5mm band is flat in profile with rounded edges, for additional comfort. 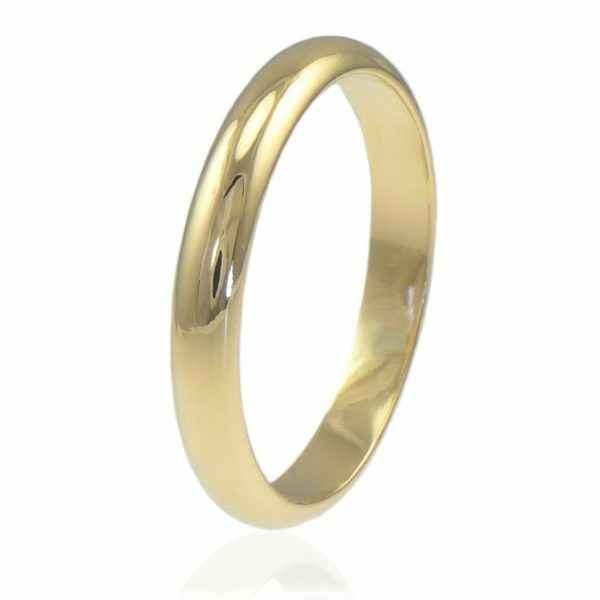 The sides of the band have a spun silk texture applied, with the twists and tops highly polished for contrast. The triple twist ring can be handmade in any size, from recycled 18ct white, yellow or rose gold or platinum.